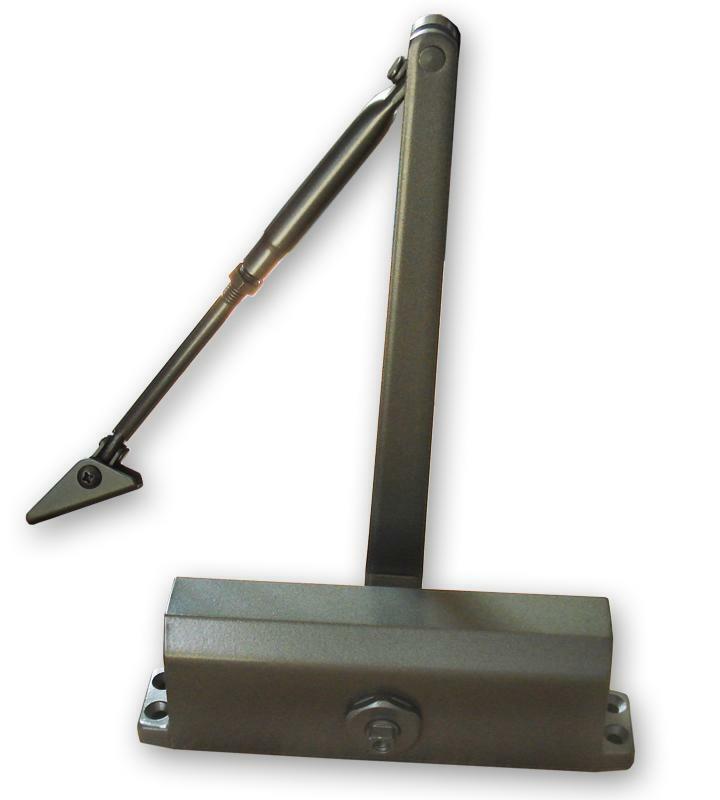 The Sentry Safety 3603 Door Closer is a reliable and safe accessory for any door. 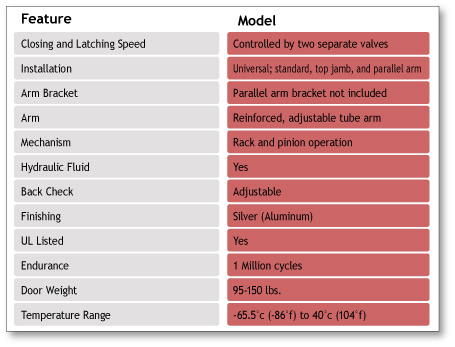 The high-quality hydraulic fluid has a low freezing point, ensuring smooth operation from -65.5 C (-86 F) to 40 C (104 F). Similarly, the hydraulic fluid ensures constant lubrication for consistently superior functioning. In addition, the rack and pinion operation contained in the high tensile precision-cast aluminum housing provides high quality performance every time; the high endurance rating assures the consumer of 1 million cycles of seamless operation. Most important, however, is the UL listing for this door closer, which means that samples of the complete product have been tested against nationally recognized safety standards and have been found to be free from certain risk of fire, electric shock, and other similar hazards. The UL Listing Service is the most widely recognized of these safety certification programs. As a result, users can be sure that this device has met accepted and consistently tested safety standards, and will hold up in a number of situations. In addition, the Sentry Safety 3603 Door Closer comes with and provides the consumer with a number of options. To begin with, the dual valves allow the customer to adjust the close and latch speeds separately, while the reinforced tube arm is adjustable for varying lengths. Similarly, this closer is designed for universal installation, including standard, top jamb, and parallel arm installation. Likewise, the closer is capable of installation on a number of doors with a range of weights from 90 to 150 lbs. Finally, the customer may use the adjustable back check application (to prevent damage to the door should it be opened with excessive force) to offer even more versatility in the installation and use of this accessory.